Not As Famous Cookie Company is a gourmet cookie shop on wheels that caters to cookie lovers and others with a sweet tooth that desire gourmet treats. A great tasting cookie is an idea that my father, Mr. Ronald Carlton, envisioned many years ago. He created several recipes for gourmet cookies which he intended to market to various businesses that desired a gourmet product. Watching him develop the base of these great recipes has largely been the driving force behind my aspiration/desire/want to further the development of the business. 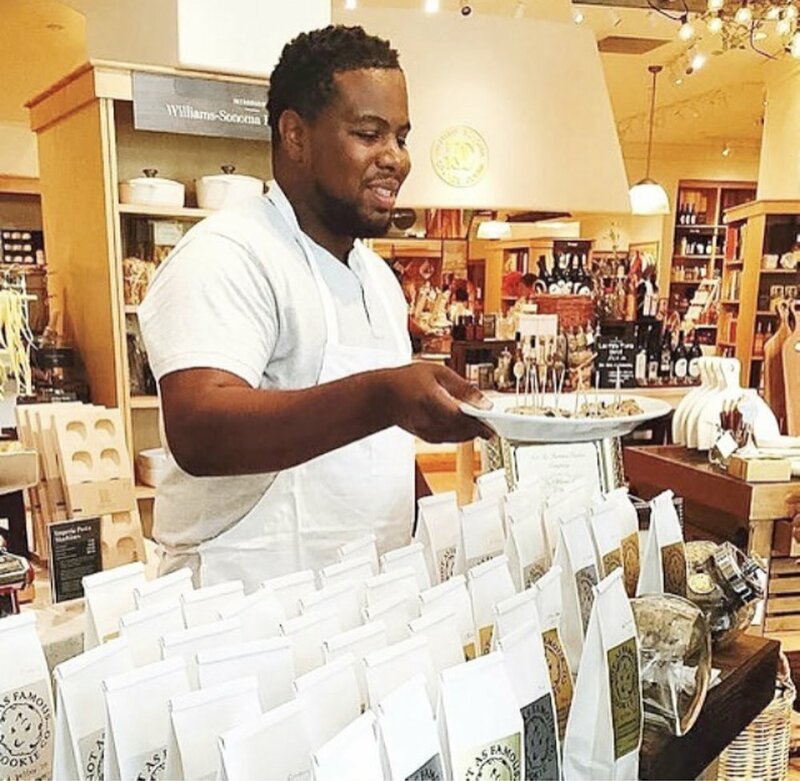 Founder: Ashley Carlton serving up delectable treats at a pop up shop. Not As Famous Cookie Company distinguishes itself from other gourmet vendors by offering gourmet cookies that are freshly made with only the finest of ingredients. Hence, the company will make a better cookie! We always knew we had a great family recipe, but now we share this experience with the world. We are a family owned and operated business in every sense of the word. At Not As Famous we want every single customer to feel like family as they enjoy our delicious gourmet cookies.